Summer Street Style. Design Spring Fashion Girl Clothes Set, Accessories, Cosmetic. 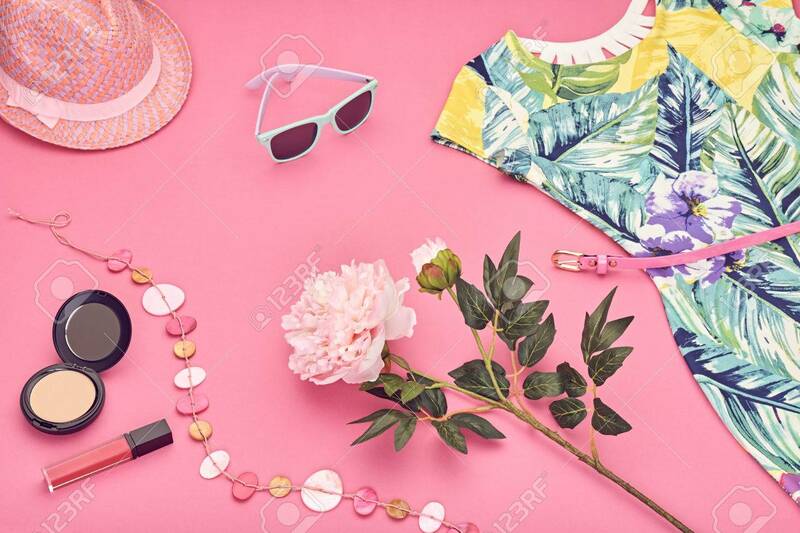 Trendy Sunglasses.Summer Floral Dress, Fashion Hat Spring Flowers. Summer Lady. Creative Urban. Perspective View Royalty Free Fotografie A Reklamní Fotografie. Image 71785482.